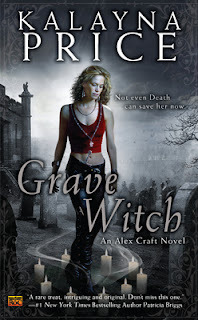 Grave Witch is book 1 in the Alex Craft series. I finally got around to starting this series and color me intrigued. This book revolves around a grave witch that is helping the police solve a serial killer case. The paranormal lover in me was so happy to see that there weren't just witches in this world, we also have ghosts and fae mixed in. I thought this was a good start to an Urban Fantasy and plan to grab the next installment from the library soon. Alex Craft is a private investigator that summons shades (think ghosts) for a living. Her cases range from family members of the deceased hiring her to raising a shade to assisting the police. While trying to get more information on how a victim died, Alex also winds up helping identify a Jane Doe in the morgue. With several other women recently being killed the same way, it looks like there is a serial killer on the loose and only Alex is able to see the magic left on the body. The homicide detective, Falin Andrews and Alex wind up teaming together to figure out who the killer is before time runs out. Grave Witch was a race against the clock that had me wondering what would happen next. Quite a few things were revealed that I didn't see coming and I'm all the more intrigued by this series. I do hope the fae aspect plays more of a part in the next book, because they're my fae-vorite. All in all, if you like witch urban fantasy novels you'll enjoy this book. This was my first Emily Durante narration and I thought she did a good job. The speed on the other hand was so slow. I had to crank it up to 1.5x (the max on the hoopla library app) before it felt right for me. This sounds like a book I would enjoy. The world sounds interesting. I would love to know more. Great review. Not bad, I think you'd enjoy it! Oh yes, I think you'd enjoy this series!! I haven't read this but it sounds good for the most part. Interesting. Well, if it's a series, that means it must be doing well. I'll have to check this one out. I love books that have a mix of paranormal creatures in them like witches, ghosts and fae. Might be a good one for me! I have this one on my TBR to try. First books in a series are always hard. Their is just so much to introduce and get access to the reader. It sounds like you enjoyed the mix of paranormals. Thank's for the review. 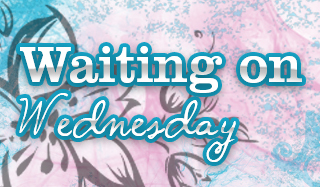 It's a series worth checking out, that's for sure! I do enjoy this series. I'm on the list to review the newest book once it is available on audio. I do enjoy the narrator. I don't remember her speaking slow, but there is a long time between books, so it could just be that I forgot about it. I'm glad you're enjoying the series. I can't wait to revisit through your reviews. Most definitely worth checking out! This sounds like a perfect read for me. I have the first book on the shelf and look forward to reading it...one day. lol. Thanks for reminding me of it! Yay hope you get to it and enjoy! !